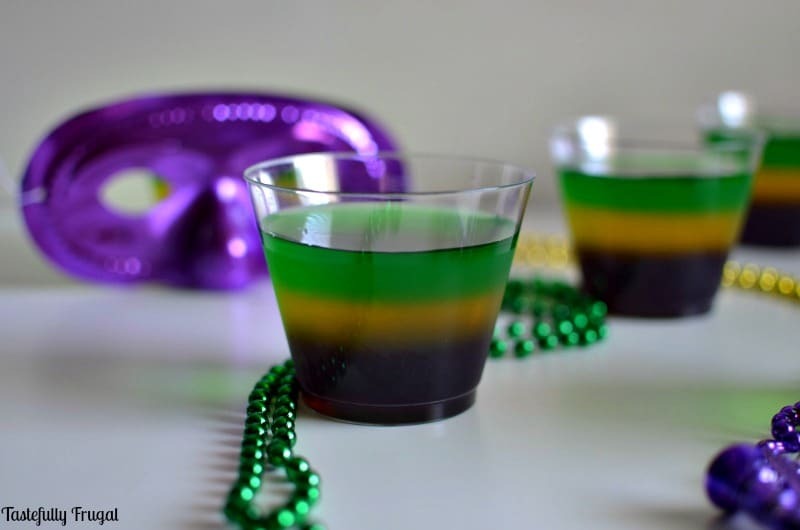 Celebrate Mardi Gras with these fun, festive (and easy to make) Jello Treats. Did you know that Fat Tuesday is only three weeks away? 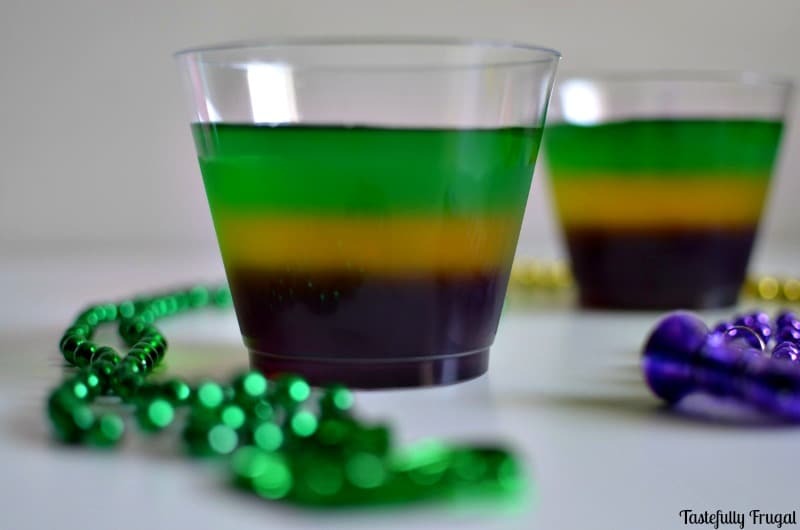 I used to never celebrate Mardi Gras (or most holidays other than the big ones) but now that I have kids it’s fun to learn more about the holidays, celebrate the traditions and of course make festive treats. If you’ve been reading Tastefully Frugal for some time now you probably already know my favorite way to make a festive treat is with Jello. From our Valentine’s Day Jello Treat to our St. Patrick’s Day Treats I even made a Candy Corn one for Halloween. Did you know that Mardi Gras is how some Christians prepare for the start of Lent and Fat Tuesday always falls on the Tuesday before the start of Lent? Mardi Gras celebrations have been traced back to Ancient Greece and Rome and the festivities started in Louisiana in 1699. The celebrations center around parades that are held almost every day and the traditional colors (purple, green and gold) have special meaning too. Purple stands for Justice, Green for Faith and Gold for Power. 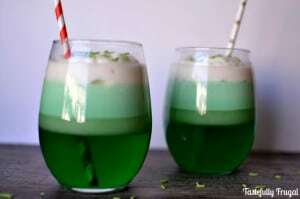 When you look on Pinterest for Mardi Gras treats you find a lot of Jello shots and other alcoholic recipes but the ones I’m sharing today are alcohol free and kid friendly. AND the flavors go really well together too. 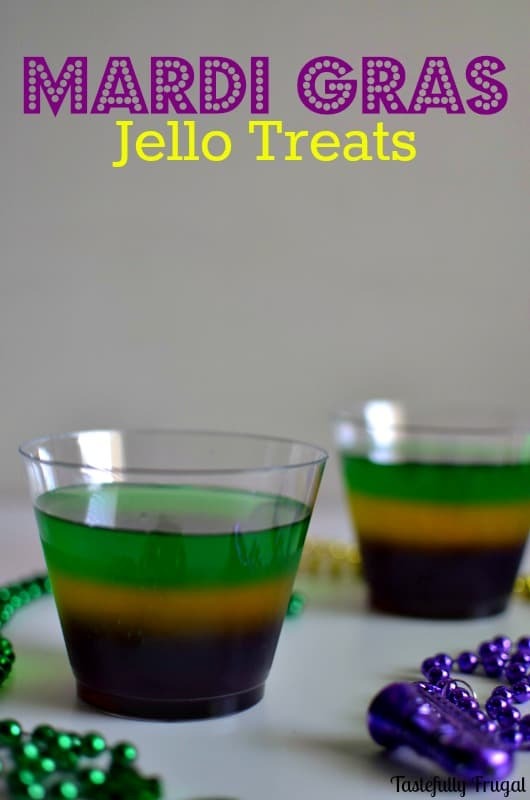 So if you’ll be celebrating Fat Tuesday with the kids, or prefer non-alcoholic treats for yourself, give these Jello treats a try! Prepare purple jello according to box directions and pour evenly into 10 small cups. Let sit in fridge for at least 4 hours to set up. Prepare yellow jello according to box directions and pour on top of purple jello. Let sit in fridge for another 4 hours. Prepare green jello according to box directions and pour on top of yellow jello. 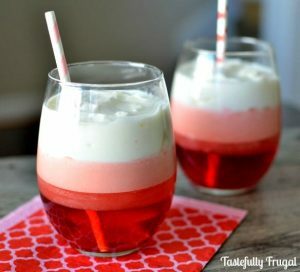 You can use larger cups if you want to make fewer treats with more Jello in each one. Do you celebrate Mardi Gras? What are some ways you celebrate? Love these creative recipes! Have you ever experimented with pudding shots? 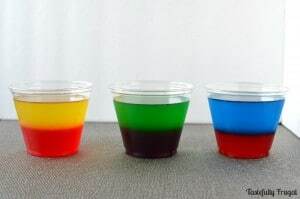 Like classy jello shots and, in my opinion, way more delicious. Here’s a great batch pudding shots recipe if you want to play around with it, it leaves a lot of room to modify pudding flavors and base liquors for different holiday party ideas! I haven’t tried with pudding but definitely something I’ll have to try! Thanks Kim! !